Widow of the late Major Mahama has celebrated the birthday of her deceased husband in a memorable way. 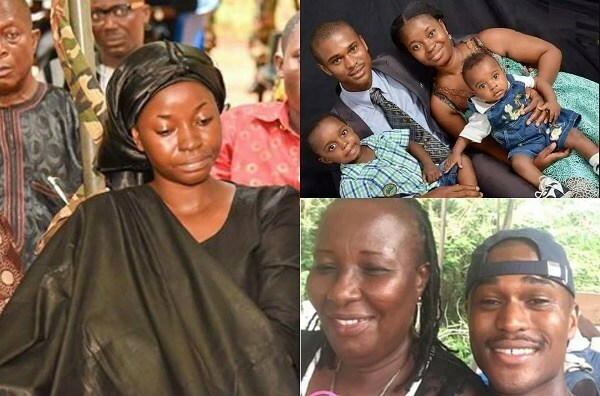 On her Facebook page, Barbara Mahama revealed how she had made for herself the usual breakfast that Maxwell Mahama would have loved to take should he be around According to the bereaved wife, their children are all singing birthday songs for him and that they still love him despite him not being around. Major Maxwell Adam Mahama lost his life earlier this year when his identity was mistaken for an armed robber by residents of Dekyira Boase in the Central region. He left behind two children and a wife who celebrates him at any given moment in her life. Meanwhile, the government has set up a special fund for the bereaved widow and her family. According to the Defence Minister, while the government has established a trust fund which will be known as ‘Major Mahama Trust Fund’ to cater for his wife, Barbara, and their kids, it has also secured employment for the widow.